This picture shows a fabulous set of chunky floating shelves. London Carpenter installed these 11 birch veneer floating shelves and then finished them with an oak coloured lacquer to match existing wood work. 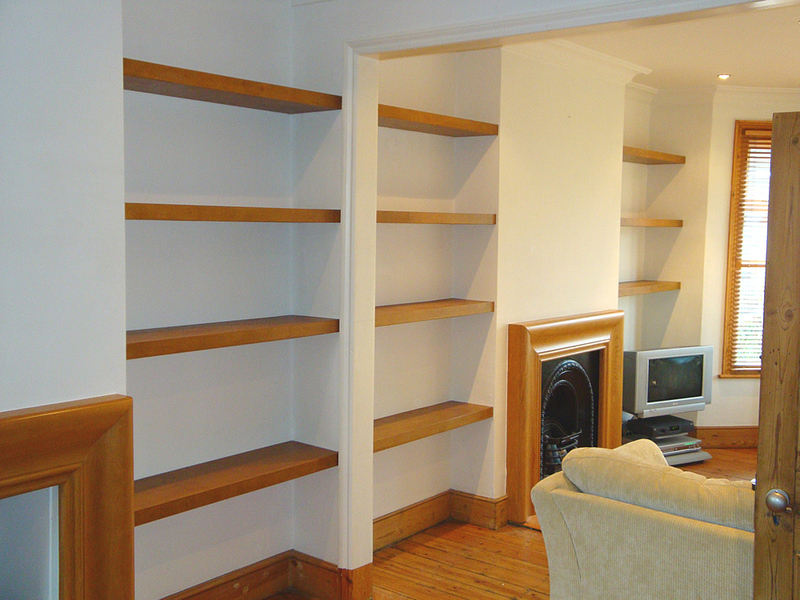 All the floating shelving is secured to all three sides of the alcoves and as structural shelving can support full loading without sagging.